This is a follow-up to my previous piece on the attitude of liberal societies toward religious belief. It was argued there that the stratagem of opposing intolerant social norms as practices by some Muslim communities vis a vis women, gays, human rights and freedom in general (be it of speech, or political, or artistic); that is to say, opposing certain religiously condoned intolerances and orthodoxies with a libertarian “enlightened” secular discourse (which usually advocates the liquidation of religion per se, at best tolerating a mere vapid cafeteria-style sort of “spirituality”) is an inadequate, clever by half, solution to the problem at hand. It makes those who feel that their faith is under attack all the more determined to defend it zealously. In Islam they call that kind of extreme defense Jihad and it has been carried in one form or another for centuries now. What usually happens is that the table adroitly gets turned around and the “enlightened” “progressive” secularist alleging human rights violations that need to be abolished ends up getting himself accused of intolerance, of trying to impose his particular brand of intolerance, i.e., his secularism, on believers. This is particularly true in societies where religion has been abandoned as just another myth or lie, long superseded by modernity progressive positivistic science. Not to be modern is to be medieval, obscurantist, retrograde, undesirables who cannot be accommodated in a modern progressive society based on the tenets of the Enlightenment, a la Voltaire. This approach usually misfires and ends up producing more animosity and intolerance with accusations of zealotry and extremism on both sides of the fence. 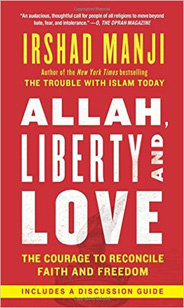 There is however a much better approach and it is that advocated by the influential philosopher Jurgen Habermas in his essay “A post-secular Europe” and that of the Ugandan born Canadian Muslim Irshad Manji, author of two best-selling influential books: The Trouble with Islam Today (translated into 30 languages), and How to Reconcile Faith and Freedom. She has received an honorary degree in the history of ideas from the University of British Columbia, and a governor general medal as a top humanities graduate; initiated the TV project Moral Courage with Professor Cornell West becoming a critic of mainstream Islam, and participated in the TV series America at a Crossroads titled “Faith without Fear.” Moreover, she has addressed numerous audiences at the UN and at Amnesty International. At NYU Wagner, Irshad teaches a course titled “Moral Courage and Your Purpose.” Among the professional skills that students can expect to learn: articulating how you want to serve your society, identifying your core values, turning your values into action, knowing when to step up or step back, and staying motivated to deliver on your vision. Let’s take a brief look at her thinking as regards the reforming of Islam. 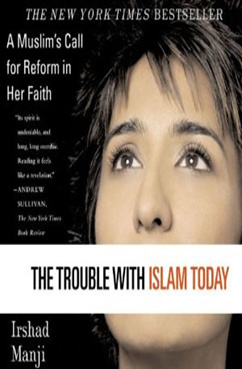 In the first place she points out that she is in no way advocating the abolishing of Islam but its reform, or better, its re-interpretation. The words of the Koran are not to be abolished or rewritten, but what is written gets re-interpreted as it was meant to be all along. What does that mean? That the Torah, the Bible and the Koran need to be interpreted by the mere fact that they contain symbolical language: poetry, parables and stories that need to be constantly interpreted in the light of the existential events of human history in order for them to have any meaningful application for our existential situation. In other words, she is far from advocating a throwing away of the baby (faith) with the dirty water (the corruption within a religion) as many secular humanists end up doing when they suggest that religion does not properly belong in the public agora and ought to be relegated, with other myths, to the dustbin of history. Manji arrived at this conclusion when she began comparing various religious beliefs after being expelled from the Moslem religious school she was attending as a teenager eight hours a week, for asking too many questions. She found her faith anew by leaving her faith for a while and freely researching other faiths. For example she discovered that the image many Muslims, Jews and Christians have of God was that of a vengeful law-giver bent on enforcing the law with a vengeance. That is not her interpretation of who this God really is as per holy scriptures. He seems to her to be benevolent and merciful, not nasty and brutish, more in the image of man. Since this God created all there is, or had a plan for all creatures, not excluding Lesbians and Gays, it remains to be explained how he can then act against the logic of his own creation. To recapitulate the above discourse with what was analyzed in the previous article regarding the paradox of Scandinavian progressive anti-nationalistic, liberal societies slowly beginning to tolerate Islamophobia and Xenophobia, perhaps it would be a much wiser strategy on their part to identify the intolerances and abuses of human rights found in religions such as Islam and Christianity and Judaism, not in the religion per se but in its misinterpretations, and advocate their reform rather than their liquidation. One can wager that most reasonable Muslims would be willing to listen to the voice of a reasoned discourse that does not include the liquidation of religion and a vapid substitution with “spirituality” disrespectful of the tradition and the cultural heritage of a particular religion. 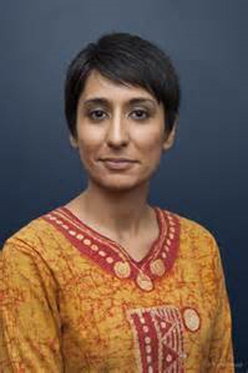 Irshad Manji offers us a great example on how this can be accomplished.